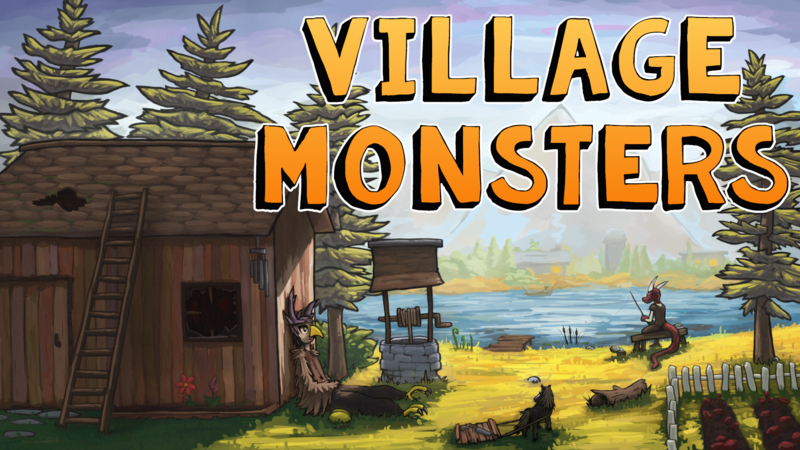 Village Monsters Alpha 1 Demo – Out Now! A new full moon means a new version of Village Monsters for you to enjoy. I’m happy to announce that the latest demo, Alpha 1, is now officially released. If you haven’t heard yet, there is a Kickstarter coming for Village Monsters in less than a week – September 12th. As such, this very well might be the last public pre-release demo. All Kickstarter backers at a certain tier will continue to get these free demos every couple months, but if that’s not for you, don’t fret – a final public demo will be released before the game in October 2018. Ok, so what’s changed between Pre-Alpha and Alpha? Well, a whole lot! I’ve been maintaining a list of patch notes for some time, and I’ve included them below this post. There’s a lot, and if you can believe it, even more has changed that I was willing to catalog. So go download it, dive in, have some fun, and let me know what you think! A whoopie pie truck has been spotted at the beach. I bet it sells whoopie pies! Stop reading this! Go find them! Mail sent via this system will be actually emailed to me, so make use of it! New ore and treasures have been created and seeded around town. Happy hunting! Grass has been added to the base of trees to make them more…uh…natural? 1 = Bug Net, 2 = Shovel, etc. Furniture now has a basic hierarchy: Toppers (like lamps, flowers) may now be placed on Surfaces (tables, shelves) or the floor. Fruits have been turned into cubular shapes. I don’t know why.